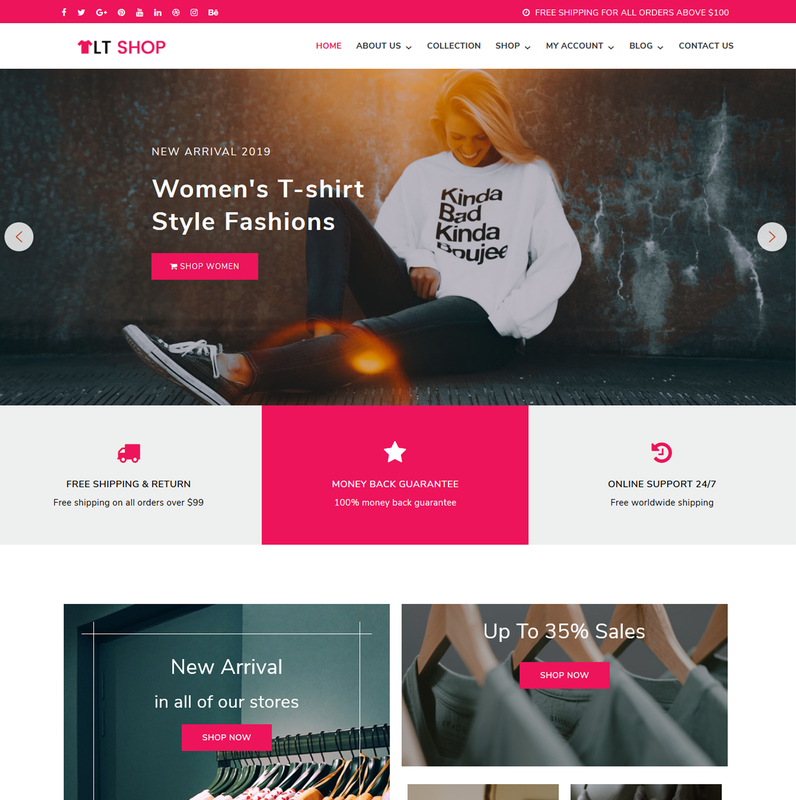 This wordpress clothes shop theme will be a proper choice to begin your first fashion online shop and introduce it to wider customers! 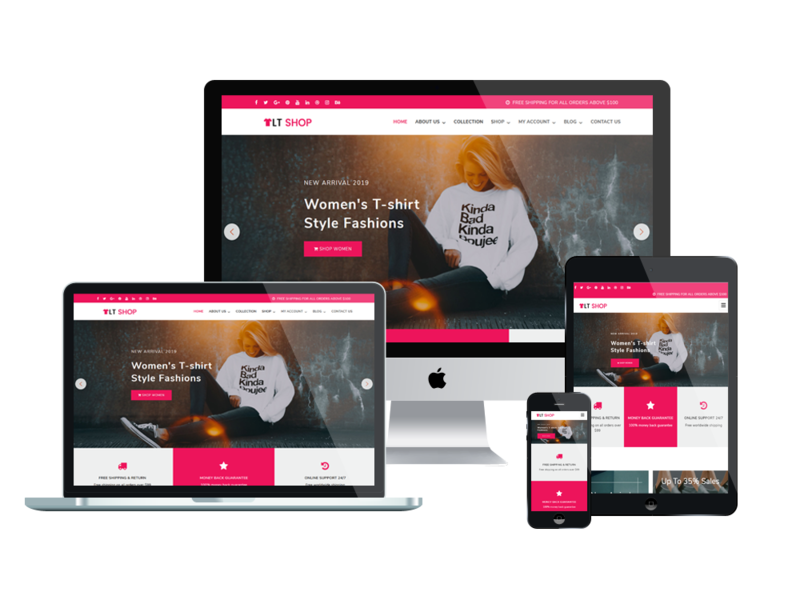 LT Shop is Free Responsive WordPress theme which is suitable for building online shopping cart or clothes shop websites. You will see this theme is not a bad choice to showcase variety of clothes and update the newest trends about fashion. The appearance of the products and overall website are their target to achieve customer interest. 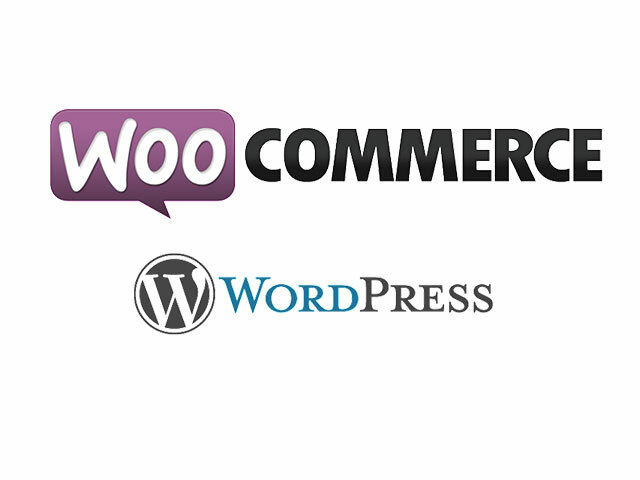 With the main purpose to help you promote your products in the best way and increase sale, this theme has been integrated with Woocommerce that supports many payment methods for your customers to buy online. Editing and presenting content are now easier because of drag-drop layout content, Bootstrap CSS & Elementor Page Builder. Besides, and unlimited color with a color picker in the admin panel. Plus, potential revenue from mobile users is not small, you’re able to optimize revenue from them because LT Shop supports 100% responsive layout, your site can appears properly on all mobile devices. Everything you need is here, why don’t you come and take a look?